Good morning to you all and second go on the forum. The project is progressing nicely thanks to your help. Sub frame off and sorted, gear selector oil seal changed, wheel bearing sorted and now onto the big one - the cylinder head! Almost lost the will for this one reading the Haynes manual! Can sort the timing belt, although it is a massive faff by the look of it, but wondering how much I need to dismantle to get the cylinder head off. According to Haynes I will need to disconnect everything attached to the inlet manifold and throttle body etc and remove it with the head. Exhaust manifold is off because I am replacing the down pipe. I am wondering if I can just detach the inlet manifold complete from the head and leave it in the car. Does anyone know on this please? It looks like I could get onto all of the bolts, but have not tried yet. I've done a 16v head not 8v and removed inlet from head in car. (was a Lupo so even less space in engine bay). The rubber gasket seal from plastic was awkward at refit, but not impossible. Can inlet move far enough out of the way to lift off the head? How will you support the inlet and throttle body? You don't want it putting strain on any pipes that will reward you by splitting a month later. Had a right result on the subframe this morning - got the old bracket off thet has the bracket for the single gear selector cable - had to anneal the spot welds to enable them to be drilled - cut it down and welded onto the new frame on top the existing bracket. Very pleased indeed. 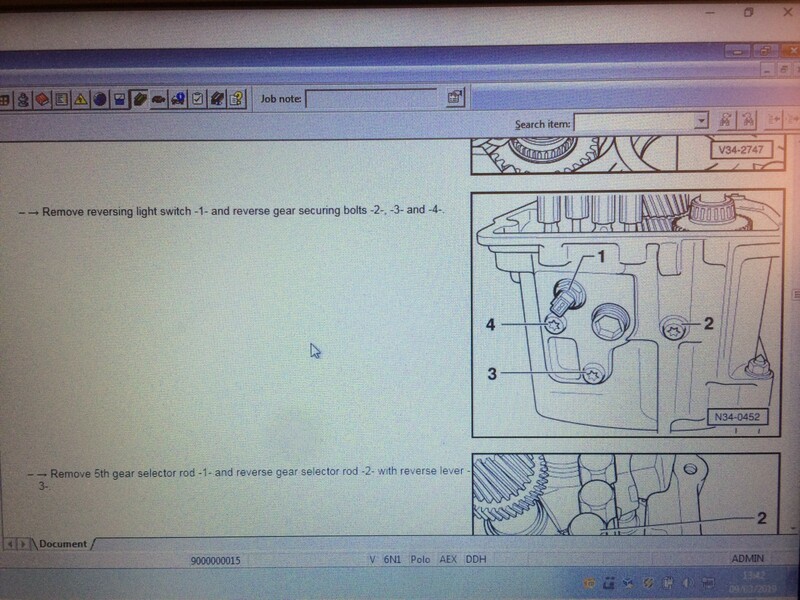 Workshop manuals tend to make many jobs look far worse than they actually are. To me, you have already done a far more difficult job by removing the sub-frame, at least you will be standing up to do the head. If you wish to have a go at removing the head whilst leaving the inlet manifold in place, you could probably support the manifold with cord tied to a wooden batten placed across the bonnet shuts. As Kiran says, you could have problems undoing the cam sprocket bolt, but the home made tool as described in Haynes will make the job much easier - you can buy short lengths of strip or angle from B&Q and use old nuts/ bolts for the rest of it. The guide bolts shown in Haynes for replacing the head are a great help, but I would suggest that when you make the screwdriver slots in the end of them, you put TWO blades in the hacksaw, making a wider groove. Make sure that you clean ALL of the oil/ water out of the head bolt holes, together with any carbon etc. - It is also a good idea to make sure that the bolt holes in the head are perfectly clean, avoiding the possibility of 'bits' dropping and becoming trapped under the head. Traditionally, the ring of carbon around the tops of the cylinder bores is left in place, together with a ring of carbon around the edge of the piston crowns, the idea being that this forms something of a seal and prevents oil consumption. Take GREAT care slackening off and re tightening the camshaft bearing nuts, slackening and tightening them a little at a time, and above all EVENLY - The bearings are line-bored during manufacture, so caps cannot be purchased individually. Also mark them or keep the bearing caps in order, replacing them in the same position AND the same way round. Make sure that both the block and the head faces are perfectly clean before assembly. Don't use sealing compound on the gasket, although a VERY small smear around the oil feed hole (just above the alternator) might help prevent oil leaks from this 'popular' leak spot - Too much sealant risks blocking the oil way. It goes without saying that you need a decent torque wrench to do this job. Well each to their own - I'll swap a sub frame job for a head gasket job any day! Fair enough the head is a standing up job though. I have a blacksmiths forge in the garage and more steel than you could get in a transit van, so no problem making tools up of any size or shape actually, but this does mean I have to do the car on the drive!. So, the head's coming off because the oil filler cap and everything visible from there is covered in emulsion. Tried some K Seal sealer but that did not solve the problem, so have bitten the bullet and doing everything I need to to keep the car going for a few more years yet. Got the car 10 years ago when my convertible BMW was written off by a young girl out of control on the wrong side of the road. No one hurt luckily, but have had no desire to drive anything other than the Polo since. Just love it. Did not know the camshaft bearing needed to come apart though. Are you sure this has to come off? Also I was hoping to leave the cam sprocket on. Why does this have to come off? Maybe I'll find out when I get into it further but on first inspection I was hoping to leave that on. Fab advice on the cleaning though and I will take due care there. Really excited about the project, but getting started just seems a bit tough! Cam cover's off and all the air intake stuff though! The scrappy subframe is a belter though and should outlast most of the rest of the car now I am sure. I thought that you would be removing the valves, but if not, the camshaft can stay in place. However, if you need to have the head face milled, it is better to remove the valves, even if the machine shop says that they can be left in situ. With the valves left in place, you couldn't be sure of getting all of the milling swarf out. You obviously suspect that the head gasket has failed, but do remember that the emulsion (mayo) alone is NOT an indication of a failed gasket. In cold weather, many people have mistaken emulsion under the oil filler as an indication of gasket failure, when it is quite often only due to condensation - this is especially true if the car is only used for short journeys when the engine is never hot enough for long enough to dry it out. Even water from the tail pipe can't be relied on as proof of gasket failure, as this too can be down to condensation in the exhaust system. However, if the coolant level is constantly falling, and/or pressure builds up in the coolant reservoir, even when the engine is cold, there are beads of antifreeze on the dip-stick, or oil in the coolant, then it probably is the gasket that has 'gone'. It still pays to have the head pressure tested though, as if there is a crack or severe corrosion, all of your work would have been for nothing. Once that you have the head off, pay particular attention to the gasket around the cylinders, particularly close to coolant passages, if the gasket was faulty, you should be able to see the tell-tale marks where it hasn't sealed. I really appreciate the comments as a relative mechanical novice and never having a head off before - or seen it done. I do do very short journeys, less than half a mile, and then 4 miles or 9 miles. Occasional longer journey, but fewer these days. Checked the oil some months back and saw the emulsion. The engine had been running rough, especially when cold. Poor tick over and sounded a bit like one cylinder out. Water seemed to have gone down, but very little actually. Popped a bottle of k seal in and the car seemed to run better. Did a 140 mile round trip in a day, and all looked good when I took the cap off. Back onto short journeys and checked again and loads of emulsion! Car still running reasonably well and water may have been down a little. No oil in the water bottle and nothing on the dip stick. Some oil down by the alternator though looks to be coming from where the head meets the block. The popular spot for a failure I believe. Timing belt is all clean. Out with the spark plugs - all look the same and clean.Slightly brown, no oil or soot. Bought a compression tester - all cylinders showing the same compression - a little under 10, but it has done 130k and the engine was cold and had not run for a while. Also battery a bit weak so it was not turning with great enthusiasm! Happy with the result. Drained the coolant and the oil at the weekend - it has now been standing outside for over a month. No water came out with the oil as far as I could see. I would expect it to be floating on the top, but then I have no clue how much water I should expect if the gasket has gone. So, what do you think? Have I been hasty with the diagnosis? Much easier for me to fill it back up with oil and coolant and carry on if I don't need to do the gasket! I have bought the parts and some tools, but still would be quite happy not changing it if it does not need changing. From what you say there Phil, it doesn't sound to me as if you have a gasket problem, even the compression pressures being even and around 10 Bar sound pretty good. If you want to 'give it a birthday', you might decide to change the petrol filter and the spark plugs - even fitting a new pollen filter. As you say, the oil leak above the alternator is a bit of a weakness, but unless you are losing a lot of oil from there and contaminating the alternator, I would be tempted just to give that area a wipe over every now and again to keep it clean. If you do eventually take off the head, in view of the 130k, it MIGHT be a good idea to lap in the valves, but in view of the good compression test results, even this isn't something that needs urgent attention. Spark plugs changed less than a year ago, so no present needed there. Never done a fuel filter - is it difficult and where is it please? Fuel filter is under the rear of the car by the tank it's about the size of a coke can, you'll probably have to cut the crimped clamps off, and the new filter should have a direction of flow arrow on it, so make sure you fit it the correct way around. New: 10 ... 15 bar. OK - another first and easier than the head gasket, so why not! Sometimes the car is difficult to start and I have wondered if it might be fuel. It fires and then stops almost immediately, like there is not enough fuel. Of course it could be loads of other things I suppose, but it has always started eventually so I have lived with it! It can go for weeks without a problem and the a week with starting difficulty and I cannot relate it to amount of fuel in the tank. It used to embarrass the children if it happened at school years back! Starting and then cutting out after a couple of seconds is classic immobiliser kicking in, only a scan of the fault codes would prove that, but changing the fuel filter is never a bad thing especially if you don't know if/when it was last done. Good afternoon chaps - still at it and 2 more bits of advice please. The 4 allen headed bolts on the end of the crankshaft - I cannot get any of these to budge, Soaking in wd40 now and will have a go tomorrow but they are really properly stuck and I am close to stripping the head and thinking that will be a very bad place to be. Any suggestions? Would an impact driver help? I have never used one. So, whilst that soaks, I have changed the gearbox selector rod oil seal as it has been leaking for quite some years. Topped the oil up and this is where the whole project might terminate! Got a terrible feeling here at the moment. 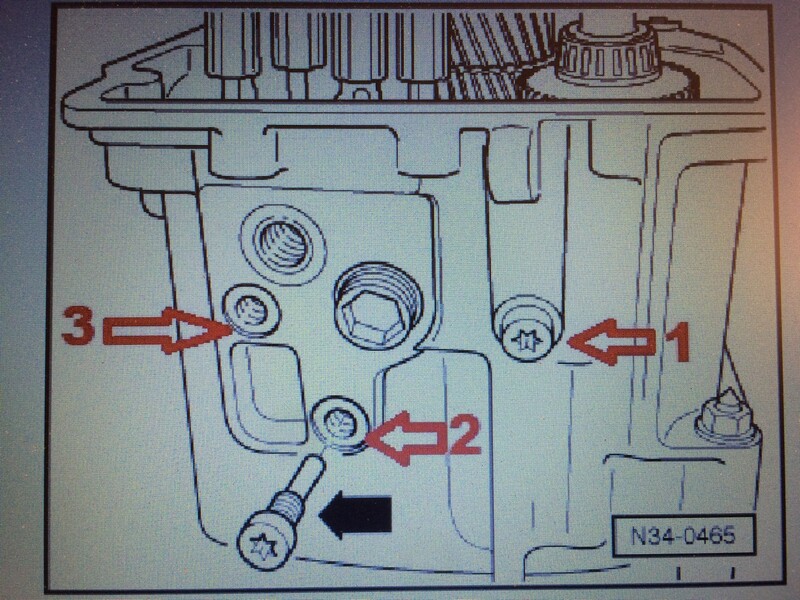 On the front of the gearbox, just above the reverse switch there is a torx plug Slightly to the left and above another similar one. I undid this and pumped in nearly a litre of oil. Not a surprise it took this much as it has been leaking for so long. Popped the plug in and it got really tight So tight in fact that I have cracked the casing a little bit! You can imagine the language - apologies. Clearly, having checked the old Haynes, this was not the plug! More bad language. 1. Will the crack be a problem? 2. What does the bit I took out do and why was it hard to get back in? 3. Will I have damaged anything in the gearbox screwing it back in with sufficient force to crack the casing? Really feeling bad at the moment, but have to say I am thinking the worst. What an idiot! The most simple of tasks could be terminal for the whole thing. Post a photo of the gearbox? or an epoxy filler like Liquid Steel or PetroPutty or JBWeld if not too runny , though would need draining and degreasing for that to adhere well. Impact driver might help. Most important is that the bit in the Allen head is fully in and tight. Clean the bolt head with pointy thing. Hammer in an oversize star bit torx bit allen bit, then use that with a 3/4 or 1/2 inch socket and longer bar. In gear so don't turn engine. Are you trying to remove the crankshaft pulley? Is the aux belt in way for fitting new cam belt? The Torx bolts are the reversed gear securing bolts !! Was the Torx bolt perhaps cross-threaded as it went back in? Small bolts need small amounts of torque: normally you can do things up with fingers and no tools unless access is awkward or there's stress like on suspension components, then fully tighten to correct torque. If it does not turn easily back off and investigate. No thread on the bolt part inside the shaft. What holds the other end? So I imagine the shaft dropped out of line with the hole and you've tightened inwards pressing on outside of the shaft pushing it further down. If the moulding is as pictured protrudes inside it cannot have dropped far. The test will be can you select and deselect reverse gear smoothly with engine not turning clutch disengaged? Gentlemen - many thanks for so many prompt replies. I've been a right muppet here and have slept on it all now too. The bolt is on the front side of the gearbox, so the other end to Nige's pic. but the right bolts. I squirted oil in using an oil can. I am sure I have filled up the hole the bolt fits into. Likely the oil has not squeezed out as quickly as I was doing up the bolt, hence the force coming back on the casing and the subsequent crack. It went in by hand initially with ease and came out easily enough, so confident not cross threading here! Should have been tipped off when I saw blue thread lock on the bolt when I took it out and of course it is way too elaborate to be a filling plug. Double muppet at least! So, I have decided to end this project and put the car to rest - hoping the local firestation will be willing to take it away for practice. I have loved this car and will get another of the same age just as soon as I can. I now have lots of bits should anything go wrong again and somewhere to get answers to those awkward bits when the Haynes and my experience are insufficient. If you are REALLY going to scrap the car, what follows is too late, but for anyone struggling to remove those crankshaft pulley bolts, the easy answer is to drill the heads off. Being socket headed, the drill centres itself quite easily and accurately. Once that the heads are completely removed, the pulley can be taken off and .... surprise surprise, you will probably find that those bolts that wouldn't previously turn, are now only finger tight. By the way, WD 40 is excellent stuff and has lots of uses - BUT it isn't the best penetrating fluid in the world. 'Plus-Gas' has been around for years and is still one of the best penetrating fluids, if not THE best. I know that cracks don't 'heal up' and can even spread, but it still might be an idea to do as suggested and give it a trial. If you do decide to do so, make sure that all of the oil is cleaned from the area around the crack and put the bolt back with some 'thread seal' compound. Don't forget to remove the ACTUAL level plug and allow the gear oil level to drop down to where it should be.